Adobe has reported a vulnerability that affects users of Flash. It appears that this security hole could allow cyber-criminals to obtain users’ personal data and take control of computers that are not updated with the latest version of Flash. This vulnerability affects all users with Windows, OS X and Linux operating systems. Adobe advises users to install the security update it has released (v14.0.0.145) to resolve this issue. As we have mentioned before, Flash is a component that is particularly prone to security holes, which is why Panda Security advises users to install it on a browser that they only use to access those pages that require Flash. Recently at my place of work the internet went completely down just as soon as a prospective client was coming in for a business meeting. Being that I work for an online marketing agency, no internet practically means the end of the world. I’m dead serious. So, what was one to do? After calling our internet service provider (ISP), I found out that the internet was down for the entire block temporarily as heavy construction was being done at the Bathurst and Eglinton area of Toronto, and all it takes is city workers snipping a wire without prior notice. This was a problem affecting everyone, and we were unhappy with our ISP for the iffy service provided over the last few years, but desperate times called for desperate measures. We needed the internet to at least show the client a few websites among other things. What was to be done? A few years back I learned in theory that it was possible to turn your portable device into a wireless “hotspot.” While this never needed to be done before, now was the time to put it into practice. With the aid of a couple of coworkers’ mobile smartphones, we were able to set up two hotspots with password access, and have most of the computers in the office running off the data plans of these mobile phones. Ideally it should have gone through one phone, but I learned the hard way that a mobile phone (at least, the iPhone) only allows up to five (5) simultaneous connections. Who knew? So, the next time you are in a bind, remember that you can always fall back on your mobile device for backup power, provided you have a computer/laptop with a wireless card to get signal. How to Hide / Disable / Enable DISQUS AROUND THE WEB Discovery ads? Disqus discovery is an ad publishing program which will give you additional revenue as well as traffic to your website. It automatically comes after the comments section. This can be disabled by following steps. Login to DISQUS using your credentials. Click on the settings tab in the top right hand side menu. Select the radio button near to the “Just comments” section. Click “Save Changes” button in the bottom of the page. You are done with the activity. Please refer the screenshot attached here. We all love videos streamed from the Internet. However, didn’t you want to download a video normally rendered un-downloadable? What I mean is that it’s a video where RealPlayer, Orbit, Free Studio Manager, et al cannot download as FLV/MP4 files. What can be done? Answer: some videos are streamed from an RTMP (Real Time Messaging Protocol) server, a technology introduced by Macromedia/Adobe to stream flash videos “real-time.” Because it’s streaming it in segments and not as an actual file, there’s no real file to download! The answer therefore is to record and download a live stream. What programs can do this? 1. Stream Transport – This is my personal favorite desktop program for the job. You enter the URL into Stream Transport’s virtual browser, play the video from there, and any RTMP streams will appear. You can then select that stream and download away. As far as I know, however, it’s only available for Windows machines. 2. RTMPDump – This free toolkit was created to download RTMP streams. The package includes three utilities, rtmpdump, rtmpsrv and rtmpsuck. While I personally find it to be buggy, the reality is that it can be used for Windows and Linux machines. RTMPDump can be downloaded here. That should be # 1, always. You should always like what you are getting. I like the iPhone 5, hence I got it. While Google Play has drastically improved it’s list of apps, there are a number of Apps that I already purchased through the Apple store for my old iPhone and I didn’t want to re-purchase them for the Android if I didn’t have to. Also, there are certain specialty Apps that the Android simply doesn’t have right not. As I have done before with other phone transfers, one of the most challenging is successfully transferring ALL contacts. With iCloud that’s not the case as the contacts download to your new iPhone seamlessly. Whatever Apple device you get, you know what are getting. And, it doesn’t crash or get viruses easily. Being that Android is on many different devices, it can operate differently depending on the device it’s installed on. Android has also been reported to operate sluggishly on many devices. With iPhones you are getting a device that works well almost all of the time, even on half the RAM (1 GB) that the Samsung Galaxy S3 has (2GB) and a relatively slower processor (A6 is dual-core whereas SnapDragon is supposedly Quad-Core). There are other components that somehow make an iPhone “just work,” and well. The iPhone 5 has already been speed- and performance-tested side by side with a Samsung Galaxy S3, which shows that the iPhone 5 by far outperforms the Galaxy despite the less powerful features. Something was done right. The iPhone 5 will survive most common “drops” that can accidentally occur at any moment at any day while at most leaving small nicks. When a Samsung Galaxy phone, though, drops, it doesn’t nick: it cracks and sometimes shatters! While the HTC phone has proven to be waterproof, it makes things more complicated when choosing a phone, doen’t it? 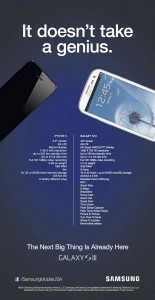 Here is a great video of a sample drop test between a Samsung Galaxy S3 and an iPhone 5. However, if you go onto YouTube to search drop tests you will see others as well with similar results. Say what you will, but the Retina display of the iPhone 5 makes “white” look more like “white,” and produces sharper colors. The Samsung Galaxy S3 Android phone has a new display type called AMOLED, which makes colors more vibrant but you can tell that there is something lacking. Okay, this is not really a reason for getting the iPhone 5, but still. Apple has long been criticized for being a closed system. For better or worse, this really protects the phone from incompatible programs that can slow down the phone, and even viruses. This was another big factor in my decision making. At a recent event I met two family members, one with the iPhone 5 and one with the Samsung Galaxy S3. I was able to hold one phone on each hand and knew what I wanted. The iPhone 5 felt thinner and being made of metal felt more comfortable and more “authoritative” at the same time, which was great. The Samsung Galaxy S3 though felt like cheap plastic, and the wideness as well as the overall size made it feel like I was holding a tablet to make calls, which can get uncomfortable after a while. I didn’t like that and right then and there “just knew” which phone I wanted to get. Yes, believe it or not, I also got the iPhone 5, in part because of the Camera. While the Samsung Galaxy S3 Android phone has many more photo features than the iPhone 5, most of those are in fact rarely used, which can complicate things. Also, the Panorama feature was simply something I felt I needed to have, which I felt the iPhone did better than the Samsung. This is important as most Android devices don’t make it easy to simply upgrade your Operating System. the iPhone provides free software upgrades as they come out, offering more and more features. Both phones otherwise were comparable. Apple’s Siri goes head-to-head with Android’s many alternatives, namely Maluuba. Samsung has Near Field Communication (NFC), a revolutionary technology allowing multiple Samsung phone users to share encrypted data with one another. This is huge when utilizing “S Beam” to transfer photos and videos. Again, Apple (and Android) has Bump which does a great job on its own. For the record, the iPhone has its own S-Beam feature in a special app called “Bump” (https://bu.mp/), which I have used to transfer photos just the same. The war goes on and it really boils down to a matter of personal preference. All that having been said, I’m no fanboy, but I love all types of technology and love what works, and works well. At home I utilize Windows, Apple/Unix and Linux devices, each for different purposes. I am honestly sick of one product being bashed over another. But hey, that’s what competition is all about, right? Again, this post is not why one phone is better than the other, rather why I want one phone over another. There are a number of reasons why you may need to re-create a Joomla! 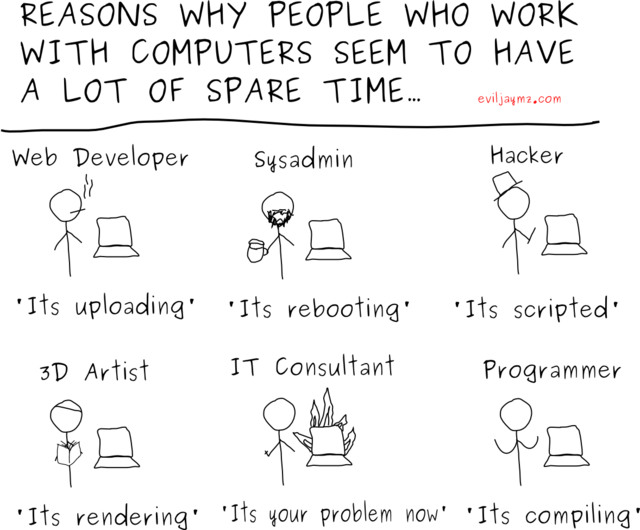 super administrator, most of them are to get you out of trouble if your main Joomla! “admin” account has been corrupted or changed. Recently we installed an Admin content restriction extension into a clients project at their request. Needless to say it was not well designed and fried all super admin logins! So we thought this information will be bound to help someone out! Here is how to create a new user in Joomla! 1.5 manually, using the database management tool, phpMyAdmin. (For those who want to know how to use phpMyAdmin tool, it is a tutorial in itself so search for it and thee shall find!). There are a couple steps involved as the database contains user information spread over a number of tables so we will run 3 segments of SQL code into the “Insert SQL” tab in phpMyAdmin. The code above creates a new user with ID number 60 and the name set to admin2. The user is now ready to login using “admin: admin2, password: admin”. We use the REPLACE instead of INSERT function above because the query will fail if the database record already exists.